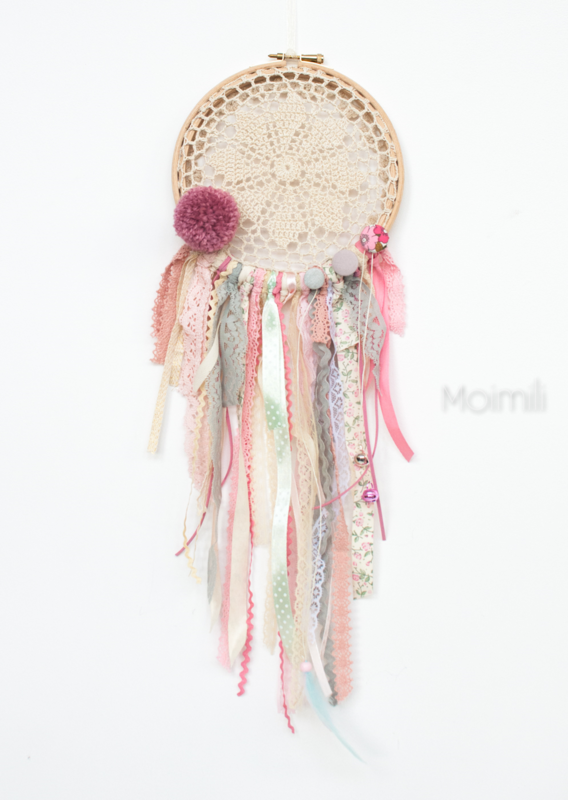 This dreamcatcher is hand-crafted from crocheted lace stretched over beechwood hoop and decorated with ribbons, buttons & tassels and finished with a bow. Each dreamcatcher is uniquely made. Therefore the ribbon colours may vary.